Easter is just around the corner and it's time to make sure you have a spring outfit to wear. Whether your Sunday best is for a traditional celebration, taking your kids to an egg hunt, Sunday brunch with friends, or all of the above, Easter Sunday is a great kick-off event for spring fashions, rain or shine. 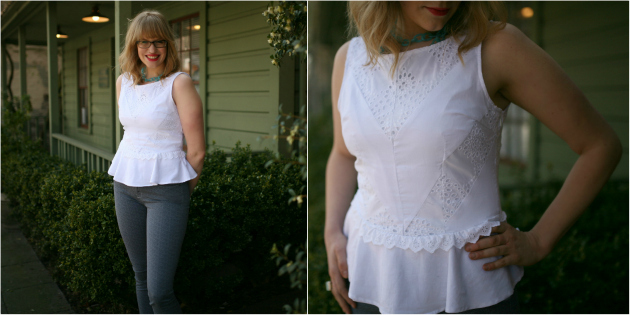 Nothing says spring more than the paper-white lace of this peplum top by Wendy Katlen. Paired with soft grey Raven jeans and TOMS wedge sandals, you'll feel confident for all your holiday commitments. Easter brings with it the season of pastels and all things pretty, so don't forget your Easter bonnet --or this straw hat by San Diego Hat Company. 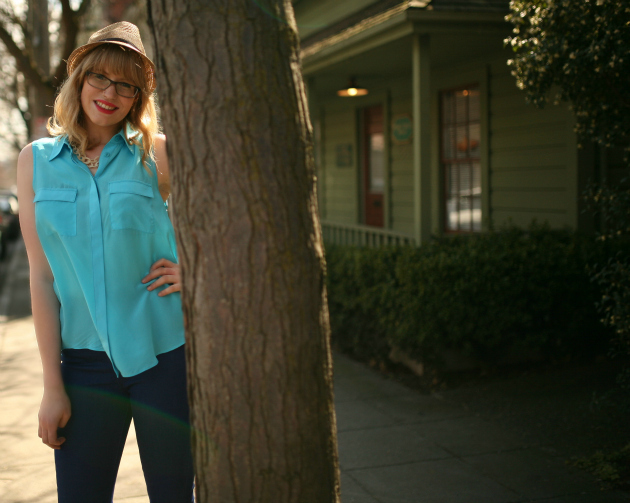 And heavens to Betsy, can't you just feel the inspiration of a clear blue sky in this baby blue top by Aryn K? Then add Blank NYC's wonderfully stretchy high-waisted skinny jeans to perfectly bring this outfit together. For some of you, a dress is mandatory for spring celebrations. Leave the floral to the garden and let your style bloom in the lacy overlay of this adorable dress by Rory Beca. Add to that a little wrap of warmth to get you through the whole day with Acrobats one hundred percent linen cardigan. With these simple and easy styling tips in mind you can enjoy your best Easter Sunday look creatively and beautifully so you can enjoy a well deserved relaxing day.